Features: So you have or found a lovely pair of pierced earrings, but the problem is you do not have pierced ears! What to do? There are many ways to convert pierced earrings to clip on styles. 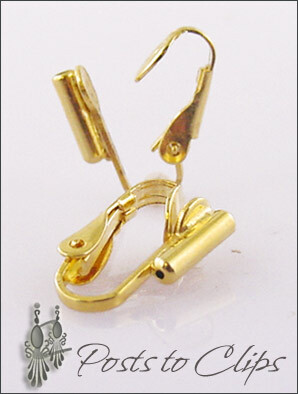 This particular clip earring finding is made to turn post-type pierced earrings so they can be worn by non-pierced wearers. - Although the clip finding is reusable, earrings should not be put back as pierced. 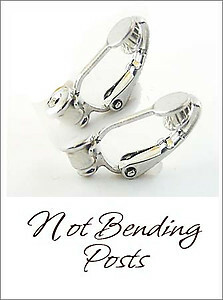 This would require bending the post of the earring, weakening it and possible causing a breakage - If you want Post2Clips that do not require post bending choose the Option 2 below. In the end, many people liked the easiness and the ability to convert their post earrings to clips, others found the clips "chunky".